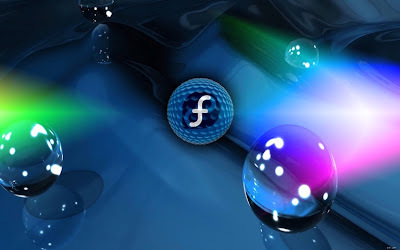 After the huge success and response of Fedora 17, now its time to move one step ahead, as the developers at Fedora Project announced the general availability of the first and the final Beta version of Fedora 18 code named "Spherical Cow". This release includes the MATE desktop – a continuation of the classic GNOME 2 interface – in its repositories for the first time. Fedora 18's default edition uses GNOME 3.6.2 as its interface and a separate KDE Spin provides the KDE Software Collection 4.9.3; Xfce 4.10 and version 1.6.7 of Linux Mint's Cinnamon are also available from the distribution's repositories. Fedora 18 offers a brand-new version of the Gnome desktop, version 3.6, straight from the upstream development process. Updates have also been made to the KDE, XFCE and Sugar desktop environments; additionally, the MATE desktop is available for the first time in Fedora. Fedora's new installer user interface enhances the anaconda installer with improvements in easeof use and installation. This release includes several language updates, including the move to Perl 5.16, updating the Python 3 stack from 3.2 to 3.3, Rails 3.2 and updated D and Haskell programming environments. Fedora 18 includes the final release of Samba 4, and can be used on an Active Directory domain out of the box. An integrated, new native management software allows you to access data and server information easily. OpenStack in Fedora 18 has been updated to Folsom, the most recent release by the OpenStack community. This Infrastructure-as-a-Service (IaaS) platform enables the creation and management of cloud infrastructure. Eucalyptus 3.1, another IaaS platform, is available in Fedora for the first time, and includes the major components of Eucalyptus. Storage System Management CLI tools simplify the user interface by providing unified abstraction and interface for multiple storage technologies, including lvm, btrfs and md raid. The final release of Fedora 18 is expected later in the year. For more information on these and other Fedora 18 features, click Here. To download Fedora 18 "Spherical Cow" beta. click Here.